The quote from her website, "In many African countries women are still marginalized, excluded from education and formal employment but retain responsibilities for ensuring that the family is clothed and fed," says it all. UK-based Ida Horner has based her life mission upon that. She has taken the combination of philanthropy, charity work and business to the next level by selling African handicrafts to facilitate poverty stricken women to lift themselves out of poverty. Horner assists women in the East African countries of Kenya, Uganda, Tanzania and Madagascar to have a market for their products, an action that is long overdue. Horner also organizes galas, auctions, cocktails and dinner parties to raise funds for the underprivileged in Africa. 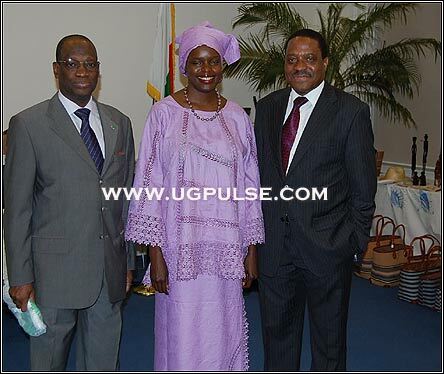 She hobnobs with ambassadors, supporting for example the Association of the spouses of African High Commissioners and Ambassadors who do a great deal of work for African women and girls. The beautiful philanthropist also jointly organized an exhibition with the Madagascar Ambassador, Dr Iary at the Royal Geographical society in London, UK. Despite her non-Ugandan last name, Horner is very much one of Uganda's own. Horner was educated at Mt St Mary's College Namagunga, Kyebambe Girls School, Makerere High School, National College for Business Studies Nakawa and Hotel Management in Austria. 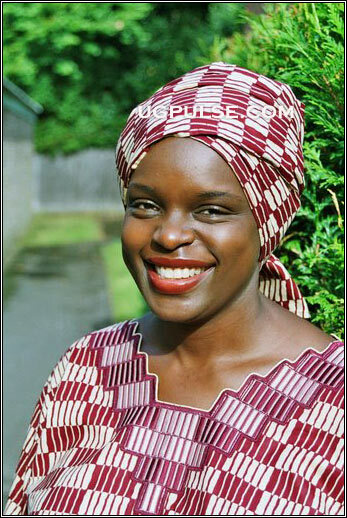 She then later moved to the UK, having developed the business skills that led her not only to a job as a Housing Manager, but also led to the conception of her flourishing business Ethnic Supplies, an online business selling a range of products which include costume jewellery, mats, bags and silk scarves; all made by hand using natural materials and traditional methods. Ethnic Supplies was initiated in October 2007. It currently aids suppliers and craftswomen such as Hand Products of Tanzania (HOT) which is composed of women from Tanzania, Kenya and Uganda; some of whom have disabilities or are affected by HIV/AIDS. 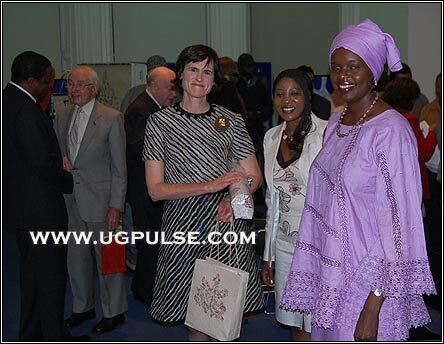 Horner is indeed an inspirational African woman, most certainly one who does Uganda proud. 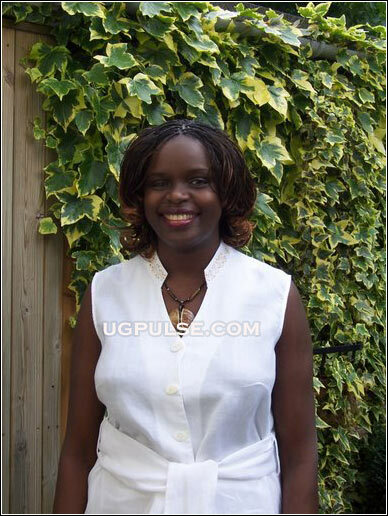 Ida: I am a softly-spoken 43 year old African woman. I enjoy the simple things in life, I am a mum of one, and I live in Walton on Thames, a small village in Surrey. I have a very optimistic outlook to life and very little brings me down. Not for long anyway. I would describe myself as a go getter and I find it hard to get on with people who talk and talk about doing something but never actually get round to getting it done. I do speak my mind and more so the older I get. My dress sense is conservative. And I love beautiful homes. I was born in Uganda at Mengo hospital. My father is the late William Mukasa Sekatawa. I am part of a large but a loving extended family. My father was very keen on family so I lived with various relatives whilst growing up, although my main home was in Buloba in Mpigi district. I am of mixed parentage in that my mother Persis Kababbito Kituku is from Kyenjojo in Toro district. I spent some of my school holidays with her side of the family too. Splitting my time between various relatives has meant that I fit in with people from various walks of life. My school days started at out at a nursery school in Ntinda a suburb of Kampala. Then I went to a boarding school called Matale, and another Nalinya Lwantale. When I left this last school I went to Mt St Mary's College Namagunga before joining Kyebambe Girls School in Fort Portal for my A' levels. My stay here was cut short by the war and I moved back to Kampala and was sent to Makerere High School, a new and trendy city academy at the time. My childhood was a happy one, all things being considered. I was very close to my father and was devastated when he passed away in December last year in 2007. He was a wonderful man with an amazing sense of humour. We didn't have loads of money but we were comfortable and never lacked anything. There was a big emphasis on education and achieving high school grades was paramount. I had wanted to be a Lawyer but didn't get good enough results to go to Law school and instead ended up at what was known as National College for Business Studies Nakawa. Whilst I was there I joined the Students Union and got the opportunity to address the newly appointed President Yoweri Museveni. How did that go? What did he do? In my area of study practical experience was paramount, but for so many of my peers there were no opportunities to gain such experience. I was fortunate because my mother worked as a Book Keeper at what was known as the Kampala International Hotel (current Sheraton) so she had a lot of contacts and I managed to get me get a placement. I was surprised that the President listened and a scheme was put in place to enable students to gain practical experience. I am not sure if this is still in place now. My area of study was Hotel and Institutional Catering. On completion I landed my first job as a Restaurant Manager for in a restaurant owned by the Sisters of Good Hope in Kampala. After a few months there I got a job with what was known as Uganda Hotels and moved to the Crested Crane Hotel in Jinja. Whilst there, I became aware of an opportunity to further my studies in Austria through an aunt of mine who worked at the Foreign Office. I submitted an application for a scholarship to the Austrian government and was delighted when they accepted me. I was then faced with a fight with my bosses as this type of scholarship was reserved for managers within Uganda Hotels and these were almost always male. To my horror they told me that because they had not sanctioned my study trip, I would not get any funding from them, my job would not be left open should I choose to return, and that I would not get an advance on my salary either. That's a very uncomfortable situation to be in. What did you end up doing? Well it was left to my family to get me spending money etc to get me to Austria. Austria opened my eyes to a whole new way of life as well as the differences between white and black. I had had white teachers but had never really thought about racism or prejudice on the basis of colour until I got to Austria. On completion of my HDN in Hotel Management in Austria I moved to the UK. The biggest challenge of my early years in Uganda was that for the first 20 years of my life there was a civil war of sorts as well as Idi Amin. The younger people may not be aware of this but life was terrible in those early days and it didn't matter whether you were rich or poor there simply wasn't anything to buy in the shops! The situation wasn't that different from the current situation in Zimbabwe. Then we had people being rounded up and taken away from no apparent reason other than being in the wrong place at the wrong time probably. The stigma has been hard to fight. For the longest of times Uganda was just known for Idi Amin and AIDS and I am trying to change that through my articles and all the creative work I am doing. That is the premise of UGPulse; to promote Uganda the way it really is - art, music, beauty, literature, intellect, business and so much more. Yes, the image of Uganda is starting to change. My interests are varied and wide-ranging. I love people so I am passionate about networking and meeting new people. I love to travel and I am well travelled. My last trip was to Havana, Cuba earlier this year for my husband's 50th birthday and what a treat that was! I love wine especially the unusual grapes like gew�rztraminer, Pinot Noir, Pinotage and Pinot Grigio blush. My favourite places are around rivers, lakes and mountains. I love time out in the countryside. I have a strong sense of what is fair. I am not very keen on the new Evangelical religions and believe that God does not live in buildings but in day today acts towards other humans. Please tell me about Ethnic Supplies Ltd. Why did you set it up? I set up Ethnic Supplies following what I call a light bulb moment. In December 2006 I went home to Uganda for Christmas and whilst there I was invited to New Year's eve party in South West Uganda. I had never been to this part of Uganda and found it difficult to reconcile the beauty of that part of the country with the poverty � I resolved to do something on my return to the UK. The result is Ethnic Supplies a social enterprise with aims to alleviate poverty amongst female producers of handicrafts and textile. Ethnic Supplies was launched in October 2007 and now helps suppliers such as Hand Products of Tanzania (HOT) which is made up of women from Tanzania, Kenya and Uganda some of whom have disabilities or are affected by HIV/AIDS. What I am doing is providing a market access for the women who don't have anywhere to sell them apart from the odd tourist and clearly this is not enough to sustain them and their families. It is also a more dignified and sustainable way out of poverty. Bravo for that! Your products range from anything from Kiondos, African baskets and Kikoys. Why did you choose handicrafts? The idea behind the product choice was to concentrate on those products typically produced by women as well as products that would appeal to women in the West. These are unique products and are unlike any other available here in UK for instance. What is the reception of these African products outside of Africa? Almost all of the items in the product range have been very well received and some of customers have been blown away by the quality of the women's work. Such has been the interest that I sometimes sell out on some items and can't meet the demand. How does your experience as a Housing Manager help you with that project? To qualify as a Housing Manager I participated in a degree programme covering wide ranging topics, like Urban and Social Policy, Culture and Perception, Urban Regeneration, Space Use, Housing Law, Project Management Marketing etc. Within these topics, one becomes aware of social and financial deprivation, property rights and that taboo subject of domestic violence. Naturally these issues do not have boundaries, in that there are as real here in Europe as they are in Africa. On the practical side of things, being a Housing Manager involves working with people who cannot avoid provide their own housing and therefore rely on the State to meet their housing needs. Almost always these people are unable to work for a whole host of reasons and are therefore on the poverty line and in most case they are women. Managing various housing projects has given me a host of skills in management and dealing with people who are sometimes at the end of their tether because of the circumstances of their lives. I have had to deal with warring neighbours, women fleeing domestic violence, provided advice on housing rights, employment opportunities, sat in child protection meetings etc and all of these skills are easily transferable to the Ethnic Supplies project. The women I work face similar challenges on a day to day basis. What you do is very important. You focus on African women's financial independence and poverty alleviation. How do you think this helps in developing the continent as a whole? Women are very important to the economic development of any African nation. They are the backbone of the home. On the whole they are responsible for the smooth running of the home ensuring that everyone is clothed and fed. These are huge responsibilities to ask of anyone, but African women carry them out with a great deal of dignity. Women are very enterprising too and will be found in markets all over Africa trying to make ends meet. On a separate note there are an awful lot of informal enterprises in Africa which are important to the economy of the any given African nation and these are almost always run by women. What is the reaction of the women you meet towards your project? I have had fantastic reactions from almost all the producers except one who in fact pulled out of the project at some stage but came back on board after a while. I believe it is important for any adult, whether they are male or female to strive towards financial independence. There is certainly no glory to be found in poverty. But some men may wonder. Why do you focus on women? My focus on women is because I can identify myself with some of the issue that they grapple with on the day today basis. There is also the realisation on my part that I was incredibly lucky to have been born into a family where there was equality for both girls and boys and was therefore afforded as good an education as my brothers. It was because of this that I am where I am today. A lot of women of my age were not so fortunate because it was still unfashionable to educate girls back then. There are an awful lot of good men out there, however, in certain situations women are treated as personal property of men, and this is compounded by their lack of financial independence to enable them to provide for themselves and the children. Although my focus is on women, it will surprise you to learn that one of my producers only employs men, whilst two of the women started their enterprise in order to supplement their husband's incomes. There are still many places where people think that a woman's place is in the kitchen, barefoot and pregnant. The idea of women working for a living and gaining financial independence is not quite welcome. Have you met any resistance with your project? Well that is very short-sighted view to take in this day and age and anyone who takes that view does so at their peril. I have not met any resistance to my project thus far and in fact a few of the African Diplomats I work with here in the UK have been very welcoming, whilst the local Business community to which I belong have bent over backwards to help me in any way that they can. That said I was at an event last year where I was fundraising for a community in one of the countries I work in. I was taken aback by the attitude of two women who walked up to me and told me they would not buy fashion accessories from their country. I asked them why and their answer was, "Oh... because we know what those items are really worth in our country." I asked them how often they were able to travel to Madagascar and buy directly from the women we were all trying to support. Or was it case that, "I am here in the UK and I am ok, so sod the rest!" Needless to say they walked away with their heads in their hands! That' a common occurrence though. Selling African arts and crafts is hard for that exact reason. People forget that the artists/craftsmen need to make a living and I am speaking from experience. I mean, other people go to their 9-5's and expect to be paid for the hours that they put in, but when it comes to a piece of art, well the story is different. It's like the artist's hours, hard work and skill are not worth as much as any other workers. That's true. You have hit the nail on the head. What are the other stereotypes that you have to deal with? 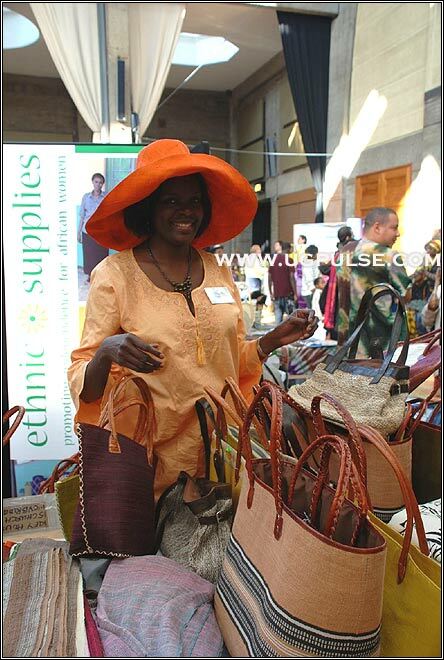 Only last Sunday (13 July 2007) I was at a Cancer Research summer event where I was invited to show case the women's work and some woman walked up to my stand and said, the trouble with stuff from Africa it is not very marketable. I told her that this has not been my experience and asked her how she reached that conclusion and whether she was doing similar work to me? Needless to say she had no evidence of her assertions and simply said she meant the dark wooden piece of sculpture, wood and furniture that is designed for large African homes. Totally reinforcing what I just said... I wonder if she knows that the most valuable African art is found in European galleries, and a lot of the sculptures and paintings that are taken for granted by many Africans are bought like hot cakes by many non Africans, including African Americans. Yes totally reinforces it. I wonder as well. That is why I do what I do. I like that you are finding means of actually helping these women by making them do something about themselves and their situation in a hands on kind of way. There is a dignity and empowerment element to that. What is the feedback you have been getting regarding that? I have had an awful lot of positive feedback here in the UK and often get invited to discuss my work at local business and social forums. I get women who organise party plans in their homes and invite their friends and family to buy the women's work. The feedback from these parties is very positive too and they are increasingly popular. I am due out to Uganda and Tanzania next month (August 2007) to review the impact of my involvement with the reproducers there. Most Africans in the Diaspora send money home. It's a reality and a known fact. However, some people are of the opinion that sometimes just sending people money does not empower them because they are not made to actually rely on their natural resources and intellect, but to depend on outside resources. They'd prefer to for example fund tangible business ideas or send them say a minivan so they can use it as a taxi and make money from their own hard work. What are your two cents on this? The remittances account for 4-6 billion dollars a year which is a substantial amount of money and in fact it has been said this is greater than any money given in Aid. So contrary to reports out there, Africans are providing help to their fellow Africans? We are not just relying on foreign aid as it's stereotypically reported? I totally agree. What are the challenges of your project? Although the products are almost always finished to a high quality, wide scale market access remains a big challenge. There is also the issue of communication with the ladies. This has led to missed opportunities for them because the orders did not arrive on time. The other aspect of my project is changing the image of African women amongst minds here in the UK, from that which has been put out in the popular media. My challenge is putting out the message that the women on Africa are capable of sustaining themselves and they just need fair access to the market. The World Bank - Margeret Wabire describes how conditions can be for some poor single women in Uganda. One of the producers of your handicrafts is Lillian Cydia Kyabagi, a 70 year old weaver in southwest Uganda. Naturally what stood out for me was her age, and the fact that she has such an enterprising spirit. When people look at her, she is a prime reminder for young people that there are no excuses for not achieving. I mean if she can, then no youth who has access to technology etc has an excuse to not excel in life. Can you please tell us more about her story and how you met her? I watched a programme called Millionaire's Mission. This was a joint venture between Channel 4 here in the UK and World Vision in Uganda. UK based entrepreneurs were challenged to use their business brains to come up with schemes that a village in South West Uganda could use to get themselves out of poverty. Part of the ideas from this programme was a group of women weavers looking for a market for their baskets. I got in touch with the programme and they put me in touch with Edirisa the co-op to which Lillian belongs. Lillian's husband died leaving her penniless and sharing a home with co-wives and the fighting became too much for her so she had to find means of surviving. Stories of hope are encouraging in the face of all the negative press that Africa constantly receives. I am not negating the negative stories, but there are so many positive, empowering stories, and that is part of the reason UGPulse is here; to bring these stories to the forefront. Please tell us about some of your success stories. In many ways I am my own success story. I am working on a book about this so can't give away much more here. Other than to say that having got here from Austria, I fought against all odds to make it and at the height of my career in Housing Management I was an Acting Head of Department, overseeing a large team and a huge project. Indeed a source of inspiration for many people... A lot of UGPulse readers are Ugandans and people from other countries living abroad and can help in endeavours like this. What message do you have for them? How do you balance motherhood with all of your projects? Well my son is all grown up and very busy with his own life so that helps. What is an entrepreneur to you? Someone that uses their creative skills to create a business. And your philosophy to life? "It is going to be up to you so..." Take responsibility for your life, family, your actions and don't let life happen to you. Go out there and make it happen. How often do you travel to Africa? Two or three times a year. How often do you travel to Uganda? Until recently I only went every other year but currently I go once or twice a year. What do you like about Uganda? Uganda is the most beautiful country on earth. I love the people, the variety in landscape... Where else do you find sunken tropical forests and snow capped mountains, rivers and mountains! What can Uganda do as a country to bring in more tourists? Because I believe that is an industry which is not tapped enough. There is so much potential, but all our ideas can help. What are your ideas? A News Reader on Channel 4 TV once said that we Africans are not very good at promoting what is good about Africa. I am afraid he may be right about the Tourism industry in Uganda. There is a lot to do and see in Uganda and the potential is huge as you put it. If the current methods to promote the country do not work why not change them? We have to tell prospective tourists why they should come to Uganda and tell them again and again! Conferences and seminars on tourism in Uganda would be a great idea. The other thing to be mindful of is not to overcharge tourists once they get to Uganda or they will tell whoever they know and put them off visiting the country. The county in which I live has a great deal of interest in Uganda. A former Mayor of Guildford, the largest town here set up a link with Mukono. Only last week I was at a fundraising concert in a village near here called Cobham and again this was in aid of Uganda, many of the local schools here have established a link with schools in Uganda. We just need to build on all of this and place Uganda firmly on the tourist map. Good advice. What are your plans for the next 5 years? Having set up Ethnic Supplies I started an initiative called Let Them Help Themselves Out of Poverty. It is about giving people the tools to deal with daily challenges in their communities. This is achieved through the collective effort of business owners, friends and experts who are willing to donate their time and effort for the benefit of these communities. My role in this is to provide interest parties with a structure within which to work. This is therefore my priority for the next 5 years. What are the last five books you have read? Who are the top five people you'd like to meet? Jane Musoke-Nteyafas, poet/author/artist and playwright, was born in Moscow, Russia and currently resides in Toronto, Canada. She is the daughter of retired diplomats. By the time she was 19, she spoke French, English, Spanish, Danish, Luganda, some Russian and had lived in Russia, Uganda, France, Denmark, Cuba and Canada. 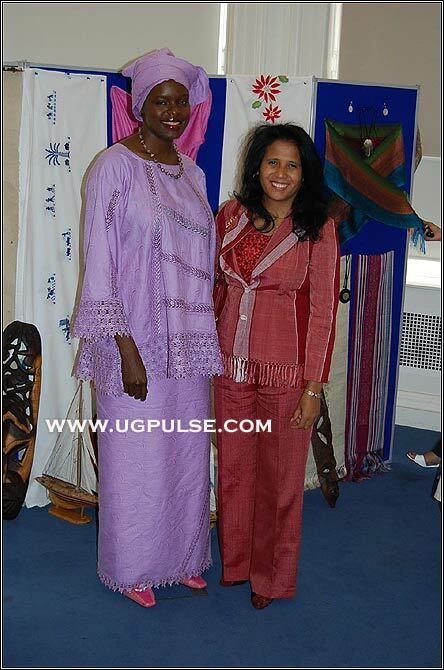 Jane won the Miss Africanada beauty pageant 2000 in Toronto where she was also named one of the new voices of Africa after reciting one of her poems. In 2004, she was published in T-Dot Griots-An Anthology of Toronto's Black storytellers and in February 2005, her art piece Namyenya was featured as the poster piece for the Human Rights through Art-Black History Month Exhibit. She is the recipient of numerous awards for her poetry, art and playwriting including the 2007 Planet Africa Rising Star Award and the 2008 African Canadian Women Achievement Award. Her first book Butterflies of the Nile was published in May 2008. Please visit her website at www.nteyafas.com.